The increase has come amid increasingly visible advocacy from veterans' groups. In a sign of how much the issue has taken hold among veterans, the 2.2-million-member American Legion began pressing the federal government this summer to let Department of Veterans Affairs doctors recommend medical marijuana where it's legal. The Legion started advocating last year for easing federal constraints on medical pot research, a departure into drug policy for the nearly century-old organization. 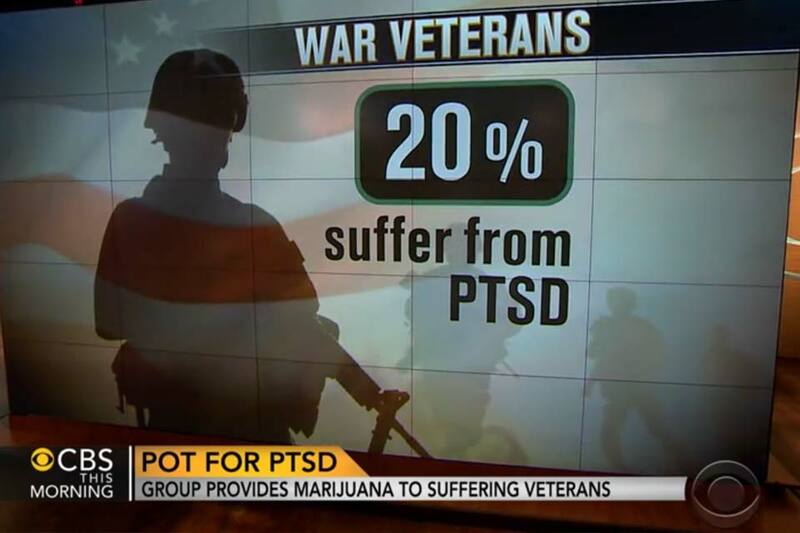 The American Psychiatric Association says there's not enough evidence now to support using pot to treat PTSD. The 82,000-member Vietnam Veterans of America group agrees. "You wouldn't have cancer treatments that aren't approved done to yourself or your family members," and marijuana should be subjected to the same scrutiny, says Dr. Thomas Berger, who heads VVA's Veterans Health Council. A federal science advisory panel's recent assessment of two decades' worth of studies found limited evidence that a synthetic chemical cousin of marijuana might help relieve PTSD, but also some data suggesting pot use could worsen symptoms. Medical marijuana advocates note it's been tough to get evidence when testing is complicated by pot's legal status in the U.S.